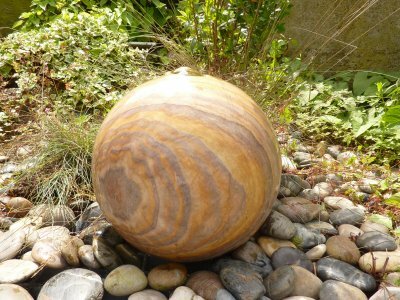 Sphere Ball Water Features are an ideal solution where no open water is wanted. They are highly visual and tactile. The water gently bubbles from the top of the globe sphere water feature and cascades down the sides. Because of the shape and flow a small reservoir can be used. Just sit back and enjoy the relaxing atmosphere created as water flows gently and calmly over Granite, Sandstone or Stainless Steel sphere water features. All KIT features come complete with high quality reservoir, lid, hose and pump. Otherwise items can be bought separately to suit your exact requirements.